The warmer weather is here! What better way to celebrate welcoming the new season than by inviting it into your home? Spring offers great potential for a wide variety of home décor ideas. From big projects like paint, to simpler ideas like fresh flowers, you can embrace new colors, themes and prints into your home. Looking for fresh ways to transition your home from the cold and dreary winter to the light and airy spring? Use our tips below! There’s no better way welcome the new season than with a fresh coat of interior paint! Whether you choose to add a bright pop of color into your space or a different shade of the room’s current color, painting a room helps breathe a new life into your home. If the interior of your home doesn’t need paint, take a look outside at your home’s curb appeal. You can liven up your space with a coat of exterior paint for your door or a deck stain. Whether you’re looking to invite the fresh air indoors or just simply allow for more natural lighting in your home, replacing your blinds and shutters is an easy decorating tip that can transform the look and feel of your space. Because window coverings come in many different materials, opacities and styles, it is best to speak with an expert to know what brand is right for your home. Bring the outdoors inside! One of the simplest and easiest ways to welcome the warmer weather is to add flowers throughout various rooms of your home. In-season flowers, like daffodils and tulips, are a quick and inexpensive way to add pops of color to a space. 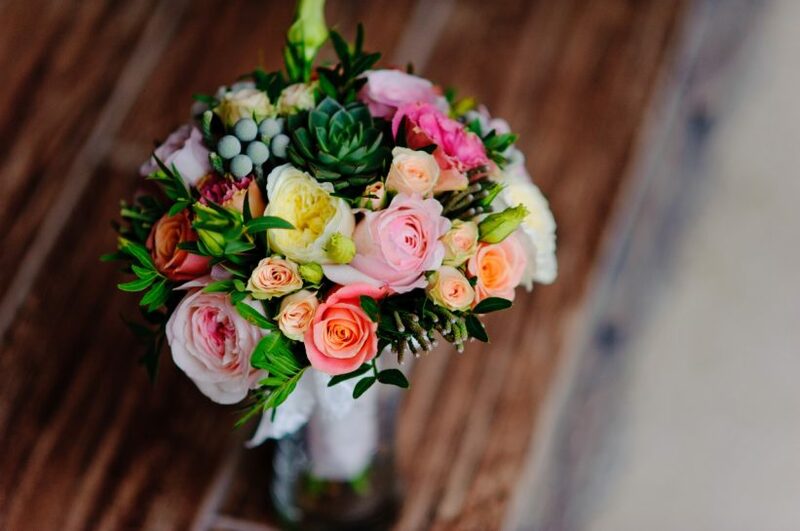 You can purchase different types of flowers in the same color to create a consistent color palette throughout your home or you can buy several different colors and mix and match for a rustic feel. While heavy blankets and flannel sheets are perfect for cozying up after a long winter day, as the temperature rises, heavy linens are no longer needed. Swap out your bedding, as well as any throw blankets and pillows scattered throughout the house, with lighter materials. Choose materials like cotton, silk and lightweight wool in light and pastel hues for an inviting springtime look. It’s never too early for spring cleaning! Whether you want to tackle it all in one weekend or you would like to spread it out throughout the month, you need to come up with a reasonable cleaning plan to ensure you are successful. Be sure to tackle the most important projects first; if you’re expecting a baby within the next few months, your first priority should be to clean out your home office so it can be transformed into a nursery. Spring is the season for DIY crafts! Whether you want to spruce up a piece of furniture you already own or you’re planning a trip to your local antique shop, there are plenty of fun DIY projects on Pinterest to try. From easy projects like wall art and picture frames to more challenging tasks like coffee tables and lighting fixtures, there are plenty of ways to welcome spring into your home no matter how good you are at crafting! From interior and exterior paint to window treatments, all of Wallauer’s Design Centers can help you welcome spring into your home! Our experts are ready to answer all of your interior decorating questions. With 11 locations throughout New York, we’re never too far away. Contact us or stop in one of our locations today!